Over the weekend, we made a beer-can chicken, which I thought would go perfectly with his post. This was one of the first recipes Ryan and I made when we first moved in together. We figured it was about time to bust it out of the recipe book and make some updates, such as using my chili rub and a Belgian-Style Golden Ale from Triangle Brewing Company. I have included the recipe below. Enjoy the post! Hey there! Ryan Kettler here, aka “the husband” or “Hubby”. You may have heard a thing or two about me on this blog and let me preface this article by saying, they’re all true. I love my wife very much. There are a lot of things I love about her, but right at the top of that list is the amazing food she cooks for me on a daily basis. I know you’ve read about some of these superb dishes on this very blog! I could not have chosen a better person to spend the rest of my life with! One of my passions in life is great beer. I’m not talking about any of the “Big 3” of Budweiser, Coors, or Miller. Those beers are acceptable for 3 reasons; quantity, cost, and hot days. The beers I’ve grown to love are brewed in small, craft batches by microbreweries across the United States. These beers should be enjoyed in their own specific glass and should be sipped, not chugged, glugged, or bong’d. There’s a good reason behind this advice, most craft beers have an alcohol content of 6-13%, compared to the 3-4% range of the big 3. Don’t fall for the gimmicks of the big 3; wide-mouths, vortex necks, air holes, color-changing cans, etc. If you haven’t noticed, most, if not all of these gimmicks have the same end-result in mind. DRINK MORE OF OUR CRAPPY BEER AT A QUICKER PACE SO YOU DON’T HAVE TO TASTE IT AND HAVE TO BUY MORE SOONER. The “microbrewery revolution”, as I call it, is quickly sweeping over the nation. We’re very lucky to live in the Raleigh-Durham area as we’re spoiled with some awesome home-grown breweries such as Big Boss, Lonerider, Roth Brewing Company, Triangle Brewing Company, Carolina Brewing Company, and Aviator Brewing Company among others. 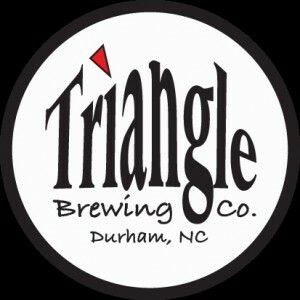 North Carolina as a state is leading the "revolution" with new breweries opening all the time. Here’s a map of all the breweries in North Carolina. People in our wonderful state love good beer. They also love amazing food. The realization that beer is deliciously complex in flavor has been the impetus for many fine-dining establishments to start offering a beer list that’s often comparable, if not more impressive, than the wine list! There’s a good reason for this. The flavors found in craft beers run the gamut; from citrus, floral, smoke, chocolate, vanilla, coffee, oak, bourbon, chili, coconut and many more. There has been much debate over what pairs better with food, beer or wine. It’s the battle of the beer-snobs vs. the wine-snobs. I, of course, am biased. I love beer with food. Not only because of the flavor, but also the price! You’ll typically save at least $3-4 by ordering a beer with dinner instead of a glass of wine. Plus, you want to support your local economy, so don’t buy an overpriced California wine when you could buy a spectacular craft beer brewed right in your backyard! So you want to try some beer with your food, but you don’t know where to start. I found this helpful chart that you should check out. My personal favorite style of beer is the India Pale Ale or IPA for short. This style of beer was first brewed in England back in the mid 1800s with high amounts of hops, which are a natural preservative. Since the beer could stay fresh longer after bottled, it could last the long journey to India, which at the time was a British colony. The hoppy/bitter flavor of an IPA is often times too intense for novice beer drinkers. If this is the case for you, maybe you start with an amber ale, brown ale, or a kolsch. All of these beers are much easier on the palette. I encourage you to be adventurous. Try new beer, and try it often. There are no 2 craft beers that taste the same, so you’re bound to find something you enjoy eventually. Cheers! Pull the chicken and can of beer out of the refrigerator about 30 minutes prior to roasting. Open the beer and pour out half into a glass. Preheat the oven to 350F and pull out a large baking dish. To prep the chicken, first remove the giblets and and neck from the cavity (if came with the chicken). Rinse the chicken under water and pat dry. Rub the chicken all over with the olive oil (or butter) and then sprinkle the rub or spice of choice all over the outside of the bird. Be sure to get around the legs, wings and inside the cavity. Lower the chicken onto the beer can, so that the can is inside the cavity and the chicken is standing upright (legs down). If the wings are not up against the chicken, cut a slit in the breast and stick them in there for more even cooking. Place the chicken and beer in a large baking dish and place in the center of the oven. Roast the chicken at 350F for 45 minutes. Turn the pan around and cook for another 20-25 minutes until a themometer in the thickest part of the thigh reads 160F. When the chicken is finished, pull out of the oven and let rest on the counter for 10-15 minutes. Carefully remove the can from the chicken and discard. Slice the chicken and serve! We made a quick mushroom-beer sauce to go with our chicken. Saute shallots in butter and add mushrooms. Saute these until the mushrooms cook down and release water. Add in beer, salt and pepper and reduce down. Yummy! What a marvelous birthday surprise! Good job Ryan, interesting article and yummy chicken recipe I'll have to try ... Love you both ... Mom!